The MOON 820S is the large and eagerly anticipated power supply that offers an upgrade path for certain Evolution series models. 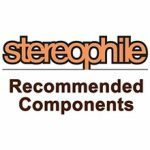 Making use of everything Simaudio knows about power supply design with respect to circuit layout, filtration and regulation has gone into the 820S. Designed to elevate the performance of products that already perform stratospherically at their price points, the 820S was created through painstaking R&D, creative ingenuity and a passion for perfection. 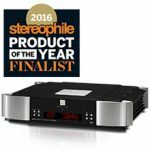 Featuring state-of-the-art, custom-built dual toroidal transformers, choke filtering, and Simaudio's own MOON Reference Regulation System (M-R2S) circuit, the 820S is capable of doing what was once thought of as virtually impossible: improving on the already superlative power supplies built into our products, by further reducing the noise floor while maintaining an even greater voltage stability. The astonishing sheer "blackness" of the musical background created by the addition of this power supply must be heard to be believed. Each output provides DC power for both analog circuitry (audio) and digital circuitry (controller, CD transport, front panel displays) on 2 separate and unique XLR type cables. Two custom proprietary toroidal transformers with lower magnetic, electrical and thermal loss, yielding an improved power transfer and lower regulation factor. The result is increased current speed and better dynamics; One each for analog and digital power supplies. Special “pi-type” filters – 2 each for the analog & digital supplies – after the inital voltage rectification stage that reduce AC transmission noise, using 40,000uF of capacitance and Dual choke inductance (2x 20mH). The analog and digital supplies each have 4 stages of our M-R2S circuit; A fully discrete voltage regulation circuit using a “precision reference” feeding an amplifier comprised of numerous IC’s and transistors, as opposed to a single voltage regulation chip. M-R2S outputs pure DC power that is exceptionally fast, very precise, has a virtually unmeasureable noise level, as well as absolute stable voltage. 4-Layer printed circuit boards with pure copper tracings and extremely low impedance characteristics yielding much shorter signal paths and drastically reduced noise levels.